The Aboriginal Leadership Opportunity Year (ALOY) began its tenth year running this past Monday, August 14th. The program welcomed 24 new Officer Cadets to the Royal Military College of Canada (RMC). The program started on a cultural note with the tipi being set up beside the building which house the program, Fort Brant. The young men and women are embarking on a tenth-month stay here at the college beginning with three weeks of orientation period. 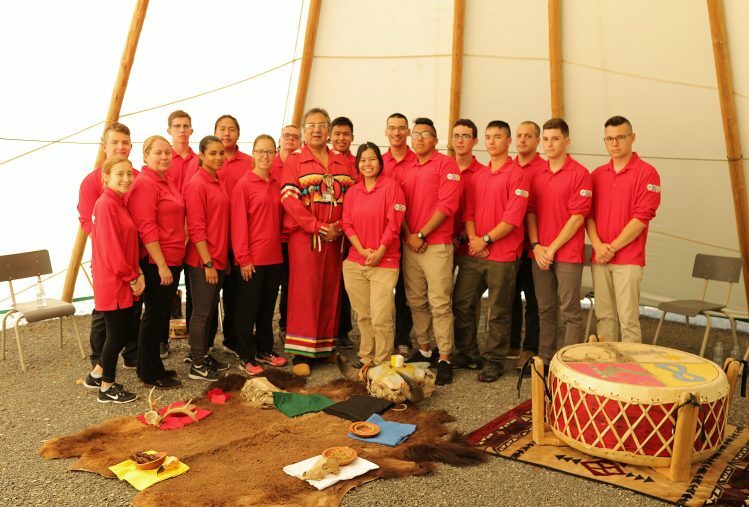 Over the course of the program they will be exposed to RMC academics, physical training, military training, and Indigenous cultures. This landmark year for the program welcomes WO Robert Ives as the new ALOY WO. This is WO Ives’ first year working hands on with the program but he has been acquainted with it during his time here at RMC. Returning to work with the program is Sgt Grant Thoman who is beginning his fourth year with ALOY. They are joined by six Officer Cadets who took up the bar positions to work in the program as Com Secs, DCFL and CFL. Two of these staff members are also ALOY graduates. This program has seen much success and growth over its ten years running. Many of its alumni have chosen to pursue a military career in either the reserve or regular forces. Some have completed their post-secondary education here at RMC. 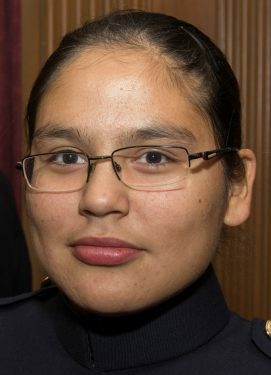 Furthermore, this program has offered Indigenous peoples the opportunity to improve upon themselves, explore post-secondary education and military life, and offer the opportunity of a lifetime.